Professor Emerita of African Art History at Emory University in Atlanta. She has written or edited five books, and was a visiting Fulbright professor at Margaret Trowell School of Industrial and Fine Arts, Makerere University in 2012 and at the Dept of Fine Arts, University of Nigeria, Nsukka, in 2016. 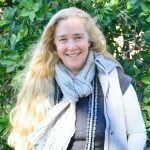 Associate Professor in Fine Arts at Margaret Trowell School of Industrial and Fine Arts, Makerere University teaching and practicing sculpture and art history. 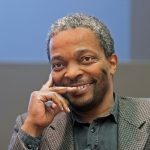 He was a Fulbright Fellow in 2013, won the Commonwealth Fellowship Award in 2014, and is currently rewriting histories of contemporary African art focusing on German art collectors supported by the Volkswagen Foundation. 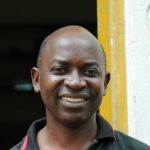 An ACLS Fellow and NGAAII Fellow, Kakande is a graduate of Makerere University, Kampala, Uganda and University of Witwatersrand, Johannesburg, South Africa. He teaches studio art and art history at Makerere University. He is an artist (ceramist and painter), art historian (with interest in contemporary African art) and a lawyer (with interest in human rights law). 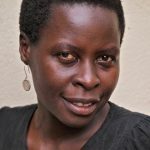 Gloria Kiconco is a Ugandan poet, essayist, and zine-maker based in Kampala,Uganda. Her poetry has been published by Brittle Paper, Sooo Many Stories, and Femrite. 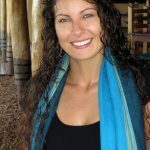 Her essays have appeared in The Forager Magazine, Doppiozero’s Why Africa? and Adda. 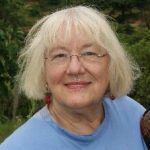 She was a correspondent for Commonwealth Writers (2015/16). Gloria participated in LaBa! Arts Festival in 2016 on a poetry project and in 2017 on an animation project. She facilitated workshops throughout 2017 on zine-making and the creative industry. 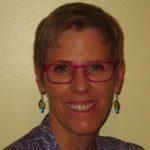 Apart from her poetry, creative nonfiction, and arts journalism; she experiments with combining poetry and other art forms. An artist-curator interested in conditions surrounding artists’ practice, Nagawa employs collaborative approaches in her curatorial and educational work. She was Chair of the Uganda Artists Association; taught at the Makerere Art School; curated by committee at the Makerere Art Gallery; and co-curated the Uganda section of Visionary Africa – Art at Work. 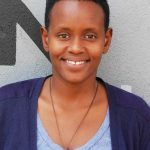 Jantien currently works with Afriart Gallery and is co-founder and director of the Design Hub Kampala, a flexible workspace for creatives, start-ups and freelancers in Kampala. She is a member of the board of Kampala Art Trust and has been part of the organising team of both editions of the Kampala Art Biennale. Ruth Simbao is Professor of Art History and Visual Culture in the Fine Art Department at Rhodes University, South Africa; the National Research Foundation SARChI Chair in Geopolitics and the Arts of Africa, and the founder of the Mellon-funded programme, Publishing and Research of the South: Positioning Africa. Writer and independent curator based in Paris, France. He was the Artistic Director of the 2016 Dak’Art Biennale; workshop leader of AtWork itinerant project in partnership with Lettera27 Foundation and Moleskine with the Kampala Chapter 03 in 2015; and director of the Pan African Master Classes in Photography in collaboration with Goethe Institute. Artist based in Kampala, Uganda with past exhibitions in Africa, Europe, and USA. 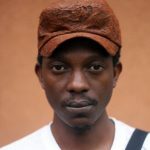 He was in residency at Iwalewahaus in Beyreuth, Germany; winner of the KLA ART 012 International Award; and founder of digital FB image archive Art Uganda . A photography, video, and performance artist based in Addis Ababa, Ethiopia. 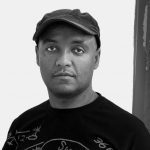 He has been in residency in Kampala, Kinshasa, Vienna, and Amherst, VA; and taken part in exhibitions and workshops in Africa, Europe, and the USA including the 2010 Dak’Art Biennale, and KLA ART 014: Kampala Contemporary Art Festival where he won the KLA ART 014 Innovation Award. 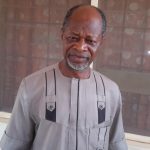 Professor Okpan K. Oyeoku is a professor of Fine & Applied Arts at the University of Nigeria, Nsukka. He has many years of research and teaching experience and promotes international collaboration. 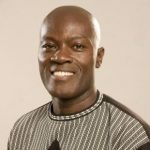 Presently he is the editor of CPAN Journal of Ceramics published annually by the Craft Potters Association of Nigeria. He serves a on the Editorial Board of several international journals and he has published widely in local and international journals. Our former editor Dominic has been one of our regular authors from the time Startjournal went online in 2010. 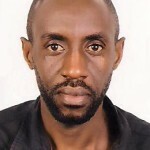 He has also written critiques for The New Vision, Daily Monitor and The Independent Magazine. 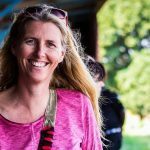 Kara Blackmore is an anthropologist, writer and museum curator who is inspired by the interplay between arts and culture in East Africa. When she is not editing startjournal.org she is preparing exhibitions or writing poetry. Thomas coordinated Start Journal as it made its way onto the web. He is a published writer with over a decade of experience in the field of interactive communications. Thomas has lived in Kampala, Hong Kong, Beijing and Vienna. Now based in Olso, he worked as the Editor-in-Chief of Start Journal from November 2010 to July 2013.